The Greater Houston Partnership hosted its 2019 Annual Meeting on Thursday, January 31, with more than 1,200 members in attendance at the Marriott Marquis in downtown Houston. Presentation slides from the event may be found here and here is a link to the full event video. At the meeting, the organization honored outgoing chair, Marc Watts, who discussed the organization’s key work in 2018 including efforts around flood resiliency, public education, and building a thriving innovation ecosystem. The organization also celebrated its 30th Anniversary with a commemorative video and welcomed back a number of former chairs and executive staff as part of the festivities. For a full look at the Partnership's accomplishments in 2018, view the annual report. And see the sponsors who helped make the event possible. The Partnership’s 2019 Chair Scott McClelland offered inspiring remarks regarding the importance of a strong public education system as key to Houston’s long-term success. McClelland challenged the attendees to engage in the work of the Partnership in the coming year. “We need you to play a role. It will make you a better person and it will help us make Houston even greater,” he said. In his formal remarks, Partnership President and CEO Bob Harvey shared details of a new strategic plan that will guide the organization’s overall efforts through the next decade. The initiative, dubbed Houston Next, is designed to advance Houston’s position as a great global city. The plan focuses on three core areas: creating a strong and diverse economy, ensuring a great quality of life and supporting opportunity for all. 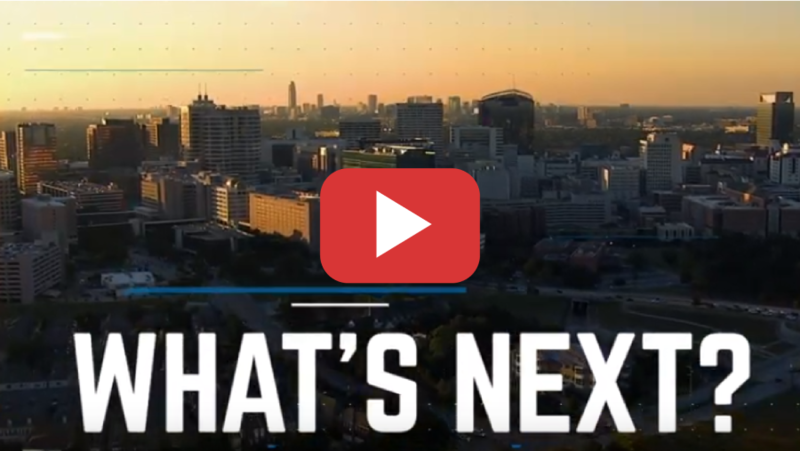 The plan is designed to empower local business leaders to accelerate the region’s progress at the intersection of those three areas of impact and ensure Houston’s continued success. More information on the strategic plan is provided below. To properly fund the initiatives of the strategic plan, the Partnership also launched a $50 million fundraising campaign. Lead investors as of January 31 include CenterPoint Energy; Phillips 66; Chevron; BP; H-E-B; Reliant, an NRG company; Texas Medical Center; Silver Eagle Distributors; and Gilbane Building. For information regarding the Houston Next capital campaign, please contact Jenny Dudley, jdudley@Houston.org or 713-844-3672. Are you looking to get plugged into the Partnership’s work? The organization is hosting a Membership 101 session on Wednesday, February 27, from 9:00am – 10:30am at Partnership Tower. Complimentary breakfast served. RSVP Required, please click here or email mwhite@houston.org. For information regarding Partnership membership and committee engagement opportunities, please contact member.engagement@houston.org or 713-844-3678. Under Houston Next, the Partnership will embark on a more targeted, proactive economic development effort to recruit high-impact business prospects and talent, both domestically and internationally. The organization will focus its economic development work around six key areas: energy 2.0, life sciences, global headquarters recruitment, Houston’s digital transition, freight logistics infrastructure and finally manufacturing, trade and logistics. Houston has made tremendous strides in improving the overall quality of life in the region over the last decade, in large part through investments in public spaces and the arts. However, challenges and opportunities remain that require the Partnership to lead and accelerate progress, including flood mitigation and resilience, transportation infrastructure and increasing government efficiency and effectiveness. Through Houston Next, the Partnership will establish a center of excellence for long-term flood mitigation, collaborate with regional stakeholders in developing a 21st-century mobility plan and engage with the public around these issues through awareness campaigns, polling and other outreach. The opportunity for all Houstonians to succeed is dependent on strong education systems and career pathways. The Partnership will focus on advocating for a high-quality, properly funded public education system, while also working with partners across the region to ensure local colleges and universities are producing graduates aligned with the needs of Houston businesses. The Partnership will also work with an outside consultant to take the efforts around its highly-successful, industry-led workforce development initiative, UpSkill Houston, to the next level.